Renewable energy is a big characteristic in Iceland’s persona and is something Icelanders are truly proud of, but where does the energy source come from? How much green energy do Icelanders really use and what do they use it for? Find out the answers to these questions and more in this article! Iceland is widely recognized as the land of ice and fire: The ice comes from the large percentage of glaciers covering the country but the fire comes from the great volcanic and geothermal energy that nests in its grounds. This activity is caused by Iceland’s geological location but it is situated right above the meeting of the Eurasian and North American tectonic plates. This location is very influential to Iceland and serves the country with earthquakes and volcanic eruptions but, there is also a positive side to it. 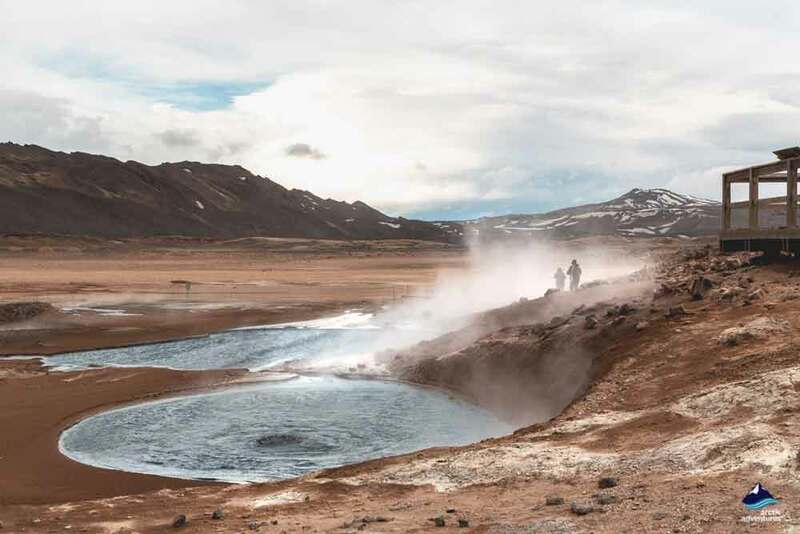 Icelanders first started using the power of their earth by baking bread and bathing in hot springs but today the country is a pioneer in the harnessing of geothermal energy. It is difficult to imagine that at the beginning of the 20th century Iceland was one of the poorest countries in Europe and was dependent upon imported coal and turf for its energy. This was mainly due to its isolated location but later the country united in switching over to hydropower later adding geothermal energy and today stands in the highest ranks for countries using renewable energy sources. It really doesn’t matter the size of the town or village you will visit in Iceland, it will have at least one geothermal pool which the locals enjoy soaking in, all year round. And the cost of visiting such a swimming pool is much less than in other countries. This is caused by the low cost of geothermal heating and electricity made economical by its geothermal resources. 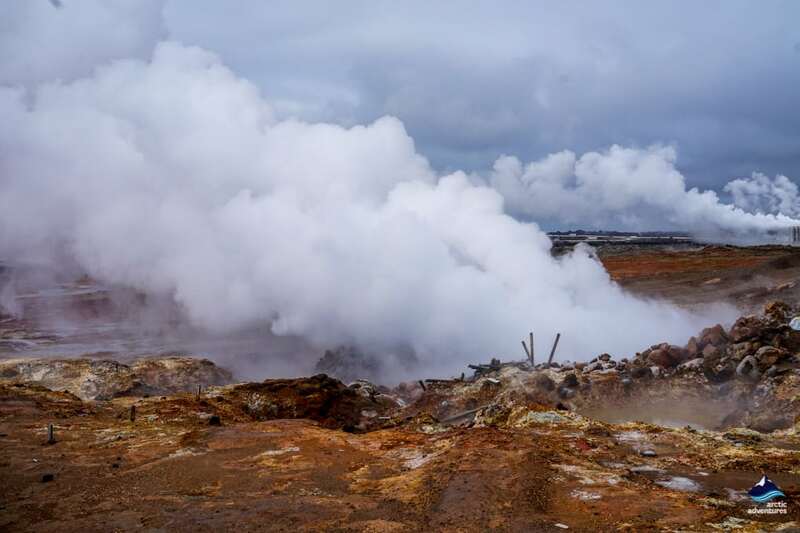 For those looking to visit at Geothermal Power Plant: The Hellisheiðarvirkjun Power Plant is visited in the Golden Circle Superior Tour and during the tour, you will also get to witness the pure power of a geyser, in the famous Strokkur! Icelanders have, almost since settlement, used the geothermal sources to bathe and cook but the first recorded use of geothermal energy in Iceland is from the year 1907. It was then 27 years later the first pipelines were constructed in Reykjavík and after the World War II Orkustofnun (National Energy Authority) carried out a research and began development which eventually has led to Iceland’s breakthrough in using geothermal energy as their primary energy source. The big push came in the 1970s when an oil crisis hit resulting in a need to switch out coal and oils for a more renewable source. It seems to have dawned upon Icelanders that the country was located in a geothermal field and that it would only require minimum drilling to reach a prime energy source. This would of course also mean that Icelanders would no more be dependent upon other countries for their heating which was a very positive fact given that the country stands alone in the middle of the Atlantic ocean. Today Iceland has a 99.96% renewable energy supply and has even started to share their knowledge with other countries looking to do the same. How does Iceland use its geothermal energy? Another less known aspect is that Iceland is home to many heavy hitter companies when it comes to electricity use, ranging from data centers to bitcoin mining. The country is using so much electricity that it might even surpass countries such as the United Kingdom if the increase continues as it has during the last years. 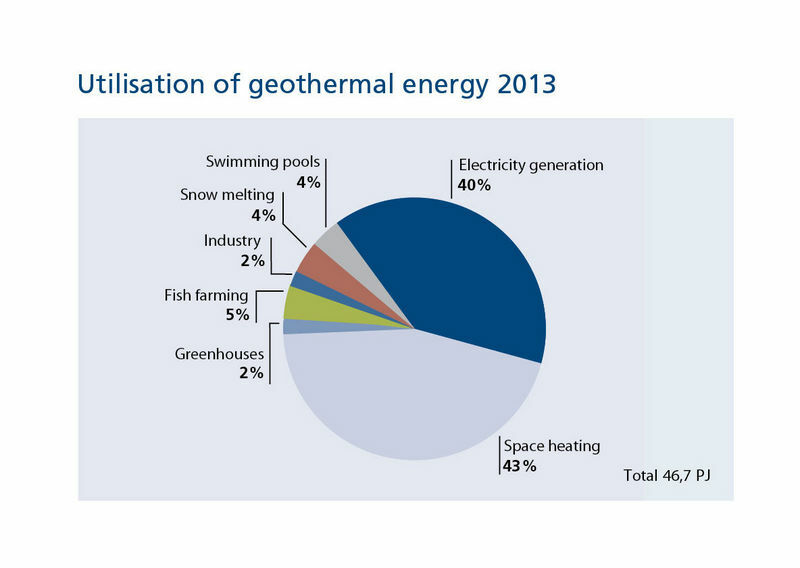 What percent of geothermal energy is used in Iceland? Over 85% of all houses in Iceland are heated with renewable energy sources, thereof are 66% geothermal. Five major geothermal power plants are active in Iceland. Those five plants also produce a little over 26% of the electricity used in Iceland. The vast majority of the nation’s electricity is generated by hydropower (waterfalls and steam) 73,8% to be exact. Only 0,1% is produced with fossil fuel. Between the years 1990 and 2014 Iceland geothermal electricity production grew 1700% which is an outstanding number given that the population only grew 25%. The answer is found in the growth in aluminum production in the country but it is believed to take up 70% of the electricity. Does Iceland export geothermal energy? Not yet, but Icelanders have plans to do so. In the meantime, they are simply exporting their expertise in the field. Icelandic geothermal specialists have traveled as far as China to help set up their geothermal energy production. Iceland is also helping expand geothermal generation in other countries, most of them being neighboring countries in Europe.